Scott Nelson wants to fully embed a a resource-based economy inside existing market capitalism, just by issuing credit to people that are doing supply chain businesses. So he’s building a global value network with blockchain technology. Sweetbridge allows you to unleash the value of the world’s assets, and your assets, with blockchain protocol. 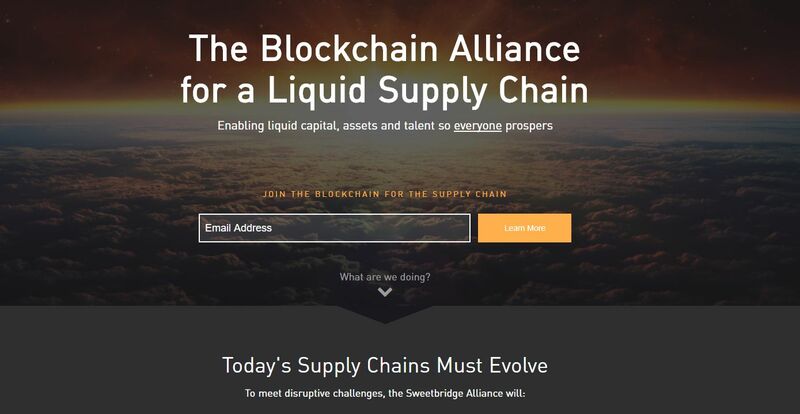 The idea is that anyone can create liquidity and borrow from their own assets using Bridgecoin, the liquidity token, and Sweetcoin, the membership token. It’s extremely sophisticated. Scott Nelson, the guy who runs it, did an astonishing two hour interview with Vinay Gupta in which they get into every single detail. “People that have been working resource-based economies their entire lives are listening to that inteview and just being like ‘OK this is it, this is how you build an RBE (Resource Based Economy) right inside of the real world’!” he added. An RBE relies on the concept that abundance for all people is a much more relevant motivator than monetary incentive, with the end result being a healthy and technologically advanced society. Sweet. There are countless rabbit holes as they cover the history and future of money, banking and cryptocurrency, as it relates to supply chains, global economics, asset liquidity and how individuals and companies will realise value through innovations in blockchain, the Internet of Things, AI and 3D printing. AtlasAction: Subscribe for updates on Sweetbridge and their collaborative efforts in the blockchain community and beyond. Tags: Accessibility, Agriculture, Artificial Intelligence, Big data, Blockchain, Business, Communication, Community, Consumerism, Cryptocurrency, Data, Democracy, Economy, Entrepreneur, Information, Internet of Things, Platform.